Whenever I’ve said in the past that a successful partner online marketing strategy is hard work, I meant it! Still, just getting your partner sites set-up, designing them properly, venturing into content marketing, etc. won’t cut it! No matter how much we want it, online marketing doesn’t stop in the partner sites: you need to encourage your channel partners to promote your company through business listings, have them look for opportunities to get back links and, even pay ads! It can be pretty overwhelming. For example, link building is all about reaching out to other sites and asking them to give your site a back link (via guest blogging, blog syndication, etc.) Which means that, on top of creating unique, relevant content for their sites, your partners (or your content team) will have to write unique, relevant content for other sites! This can be time consuming and exhausting and it’s just PART of what Off Site SEO entails. Validation/Visibility: Backlinks “tell” Google that you are a real business and that you can be trusted, which gives your partners a higher ranking in the search pages. Better ROI Online: The more leads, the better ROI you’ll have thanks to the partner online efforts. Just as with their on site efforts, your partners should set certain goals for their Off Site strategy! 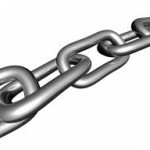 How many backlinks do they need? What’s your target? What Page Rank should the sites you’re reaching out to have? These and more questions should be answered before moving forward! This is only applicable to guest posting but it is one of the trickiest parts! Your partners should reach out to those sites that they’re interested in getting backlinks from via emails and, in most cases, suggest topics that they could write about for that site. Next, comes waiting for their reply and hoping that they’ll like what your partners have to offer! Guest blogging, like creating content for partner sites, takes time: coming up with ideas, outlining, writing, proofreading, sending the post, etc. Likewise, your partners will need to make sure they’re presenting the right information through their business listings and getting every piece of data that a lead may need to go to them! Again, a great benefit these efforts provide is getting people to your partners and have them interested in your company at a local level! This is why you need to make sure your partners are checking back to answer any doubts and join in on the conversation. Whether it is through business listings or answering comments on blog posts, you shouldn’t leave a potential customers hanging! Another strategy in any Off SEO Strategy has to do with putting up online ads! This way, when people in your partners’ area look for something related to your business, your company will appear as an ad. Nonetheless, this take money, time, and expertise because your partners will need to produce a relevant advertising message for their local audiences! As mentioned above, Off Site SEO is crucial to a successful strategy and to get leads to your partner sites! But, as you can see, it is extremely hard work! If you’d like to give your partners a break, we can help! Empowerkit is not only a white label website builder, it is also a services provider that can help you all along the way to a effective partner marketing program! For example, we can submit your partner websites to the appropriate directories and get them the backlinks they need to rank in Google! Plus, when your partners get their Empowerkit site, they’ll also get $50 of free advertising credit that they can use for advertising your business! With this credit they’ll be able to market their partner sites towards their visitors. Last but not least, if at any time you or your partners would like to tweak the strategy, you can call us at 510.859.8452 and let us know what updates you need! Even if you or your partners don’t have time, it won’t matter! You can call us directly and we’ll do it for you. As you can see, having a successful web marketing program doesn’t stop at the site! There are tactics that will help the search engines understand that your partners have a serious business and that they’re relevant to the searches the users are making. By failing to fulfill these tasks, you and your partners run the risk of having a beautiful, totally optimized partner site that no one will ever see! Still, if you think that this is too much, contact us! We are happy to help! Have any questions or comments about this post or Empowerkit? Feel free to let us know in the section below!